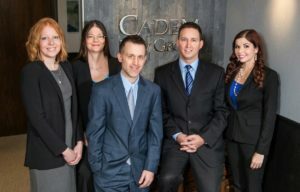 Cadem Law Group, PLLC has the experience necessary to help with your real estate matter, whether it is simply preparing a deed, or defending your property against an encroaching neighbor, we are here to help. We have years of experience litigating real estate matters in the lakes area. Contact our office online or call 218-739-HELP (4357) to schedule a free consultation to discuss your case today. Key Practice Topics: Contracts and Claims; Construction Law; Property Rights; Easements; Eminent Domain; Condemnation; Title Opinion; Purchase Agreement; Title Corrections; Pay on Death; Joint Tenancy; Shoreland Management Compliance; Land Use Planning; Real Estate Financing; Real Property Law; Deeds; Quit Claims; Contracts for Deeds; Quiet Title; Riparian Rights; Lakeshore; Ingress and Egress; Merger; Division; Severance; Vacate; Unimproved; Adverse Possession; Statute of Limitation; Statute of Repose.